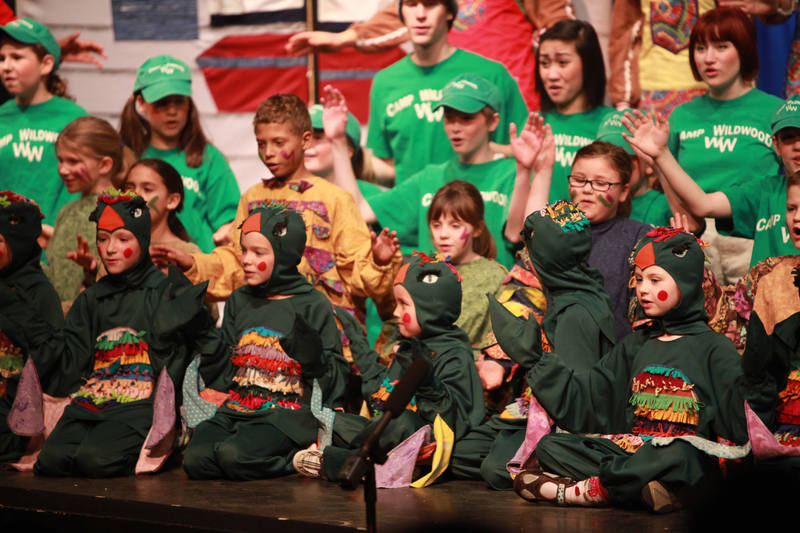 While some might balk at the idea of casting, costuming, and producing an entire play in just one week, the Missoula Children’s Theatre has learned to make it look as easy as a Sunday picnic in July. 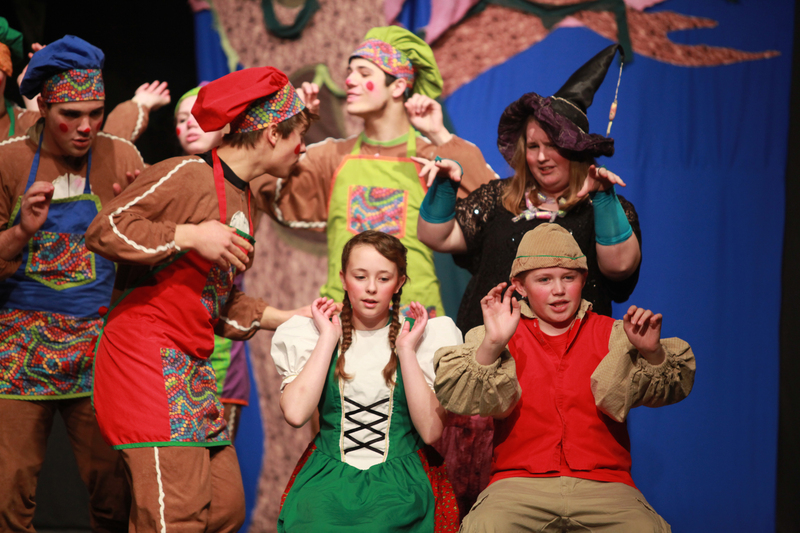 With Tour Actors and Directors Mr. Preston-Joseph Woods and Ms. Taylor Peters overseeing every aspect of the production, one hundred and nineteen students from kindergarten to 12th grade tried out for the honor of participating in the late April rendition of Hansel & Gretel. Tour Actor/Director Preston-Joseph Woods (on right) has been with the Missoula Children’s Theatre for one year. Thank you to Paul DeBoode & Al DeVol for taking this week’s photos! Four hours of auditions trimmed the pack of student hopefuls to just fifty, and soon practices stretched through the after- school hours and into the evenings. With song, movement, and hand motions to be mastered, “new campers” and “nasties” prepared for their woodland run-in with the candy-house-dwelling witch. (The adaptation of this 1812 Brother’s Grimm tale expands on the traditional story in order to allow for a greater number of students to participate). While one might assume that lack of time would be the most difficult aspect of this kind of production Preston-Joseph shares that it is actually the challenge of learning names, working with, and building relationships with a new group of kids each week. 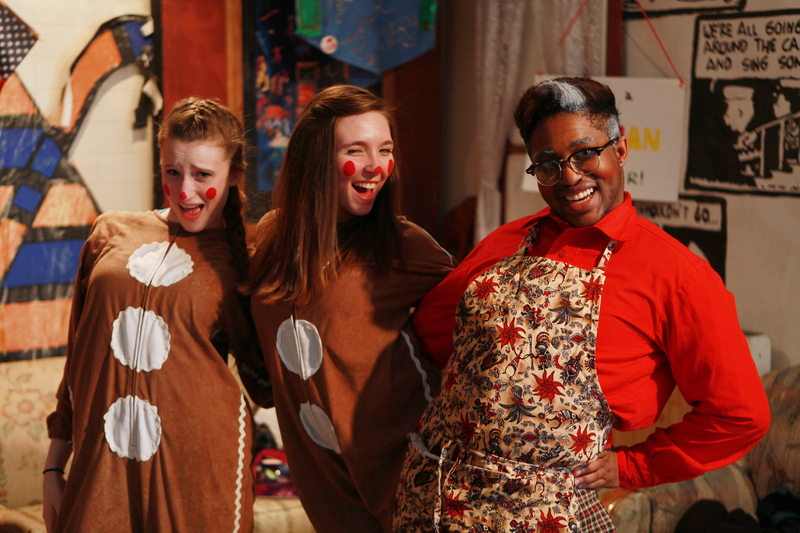 “Every week you get kids with new personalities, likes, and dislikes, and it’s up to you to make the show enjoyable for them… I really like this aspect of the job because by the end of the week you have made a connection through theatre that lasts a lifetime,” said Preston-Joseph. “Honestly, kids are quite amazing in what they can do with such a small amount of time, and we are so used to only having a week to get the show together that time is really not in issue for me anymore. I think the biggest challenge of only having a week can sometimes be getting the cast to realize that they can do it!” added Taylor. 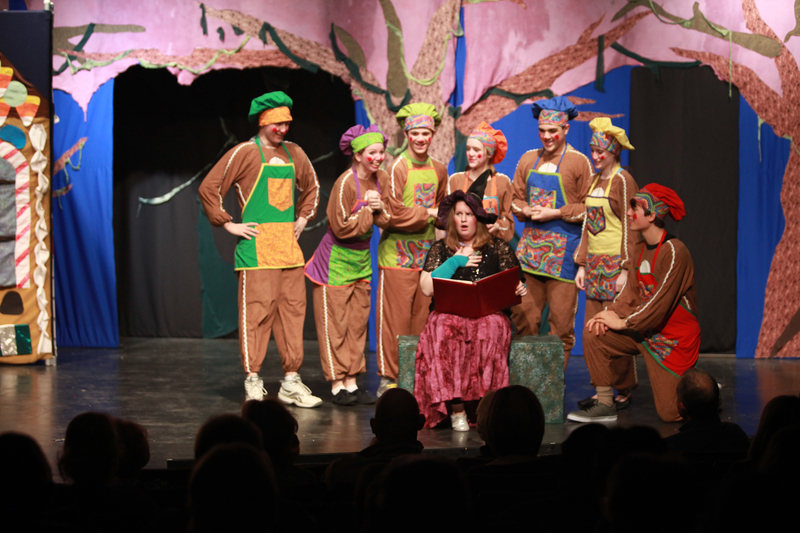 Jenison is blessed with a robust theatre community that values the arts, and our guests felt that warm reception immediately, making their job all the more enjoyable and meaningful. 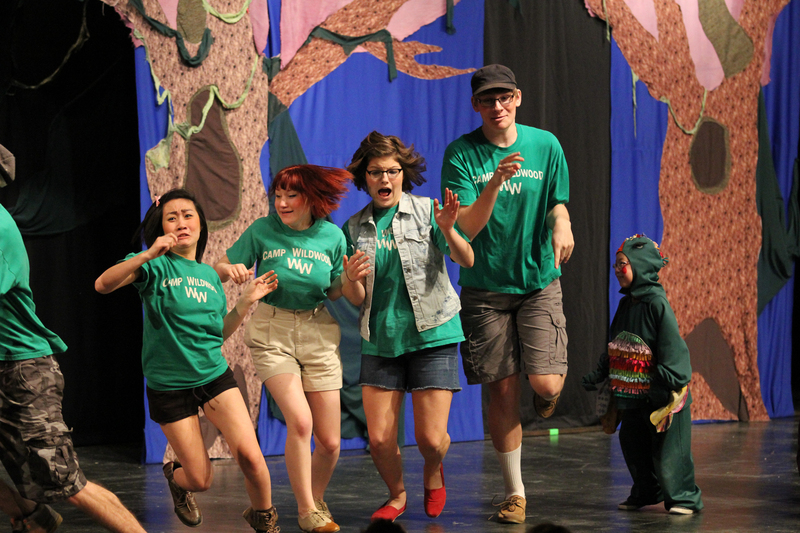 “Jenison is a shining example of how theatre is good for kids. It also teaches them so much. Things like ACT and great directors (Todd Avery and Karen Weaver) really help kids realize just how much you can do with creative minds,” said Preston-Joseph. Taylor adds, “I love the confidence that we are able to help kids find in themselves. We come into a town with no prejudices against any kid, we don’t know their history and we therefore have every confidence in them to be able to do what we ask them to do. “Theatre teaches us to open our eyes and really see who we are as a person and what we have to offer to the world. That is why theatre is important to me and why I think it’s especially important for the young,” explained Preston-Joseph. We offer our sincere thanks to Preston-Joseph and Taylor for the creative leadership they provided our young actors; we also express our gratitude to Mr. Avery and Mrs. Weaver for the support they offered to the Missoula Children’s Theatre. Working together, they found magical ways to inspire young minds with the arts. If you wish to order your own photos of this special night, please visit www.pauldeboode.com and click on “gallery”. What a great experience for everyone involved! 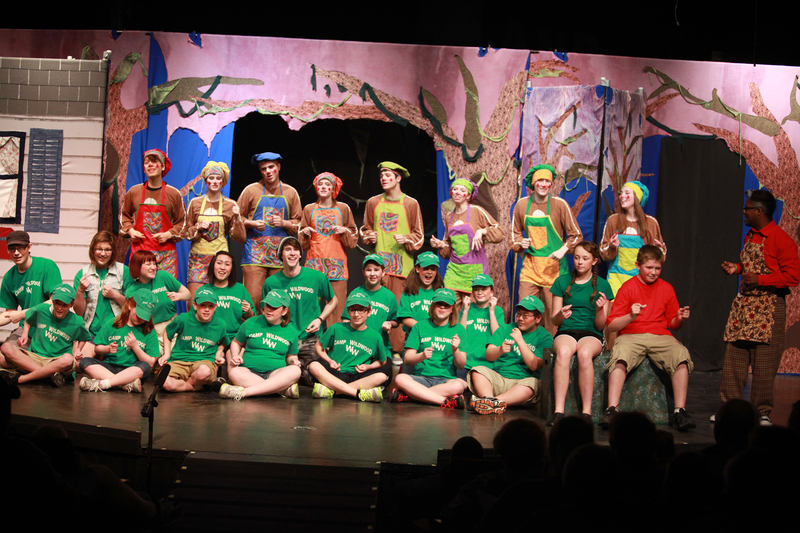 Thanks JHS Thespians and Jenison Public Education Foundation for bringing this great opportunity to JPS!